In 2006 I backpacked through the uppermost reaches of Utah's Virgin River canyon and Deep Creek with my wife. 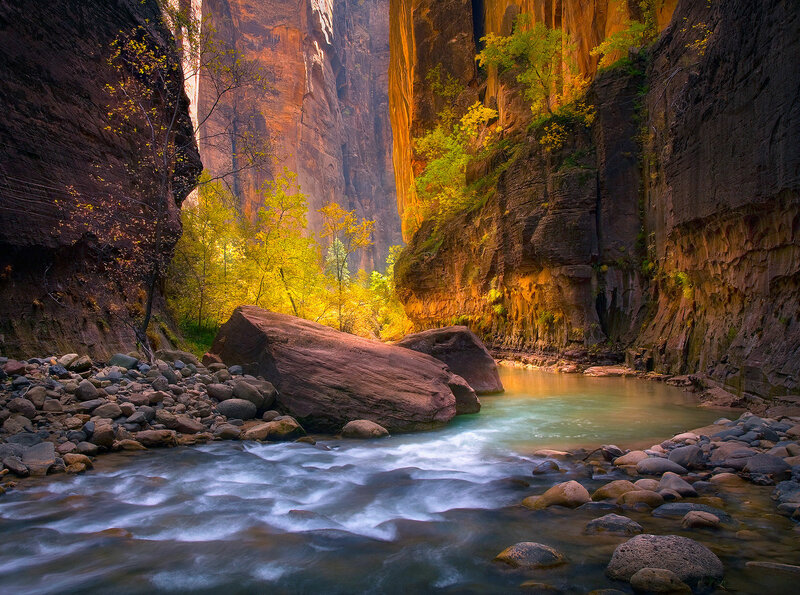 We both believe to this day that it was the most beautiful place we ever hiked together, secluded in the cool blue waters running down through towering canyon walls catching the autumn light. . Photo © copyright by Marc Adamus.